I started my career with Galgorm Spa & Golf Resort on Monday 17th October 2016 after a background of working in restaurants and quick service offering in an airport environment. 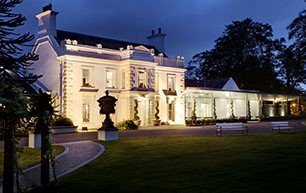 I first started in Galgorm Spa & Golf Resort as Gillies Operations Manager where I had the responsibility to manage the restaurant and bar, overseeing a team of 4 managers. My role focused on managing the day to day operation of the restaurant and bar which hosts live entertainment seven nights per week. I was responsible for the financial performance, marketing, staffing and service levels within the Gillies complex. My role was varied from being operational on shifts ensuring service standards were maintained as well as being desk-based focusing on financial matters as well as marketing and strategy for the complex. Prior to Christmas 2017, I was promoted to my current role as Food and Beverage Manager. I worked within Gillies for the first year of my employment before the opportunity to work across all of the F&B outlets in the Resort, developing my knowledge of the different service styles within each outlet. Since joining the company almost 2 years ago, the opportunities for me have been abundant. Galgorm Spa & Golf Resort have provided a world-class facility where I have had the opportunity to learn new skills and develop in a professional capacity. I have had the opportunity to be involved in a leading brand where the training provided has been excellent both internally and externally with accredited qualifications provided. Working at the Resort has allowed me to broaden my knowledge of the industry and has developed effective networking with colleagues across the sector, currently working as a committee member for the Institute of Hospitality, in turn developing my relationships and career progression. I have had the opportunity to attend a number of training courses during my time at Galgorm Spa & Golf Resort. I have completed training in World Host for Customer Service as well as the Wines and Spirits Educational Trust Level 2 and look forward to embarking on my Level 3 course. Galgorm provides endless opportunities for training and development and fully supports its employees in their personal and professional development. Every day is a new day and more importantly… a different day. That is what I love about my job – no two days are ever the same! My role is to oversee the operation of Gillies Bar + Grill, Fratelli, River Room, Conservatory and in-room dining across the Resort as well as the Gin Bar and Gillies pub. 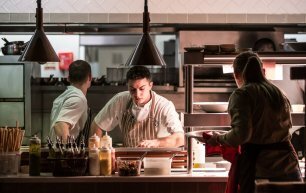 My role is diverse in nature, working with a large staff team ensuring that in all of our restaurants, we are delivering the highest level of customer service and quality of food to ensure we are delighting every time. I spend a lot of my time operationally, helping out the team on service during breakfast, lunch and dinner, however, a considerable amount of time is spent working with suppliers, marketing of our F&B operation and other managerial tasks associated with running a very busy hotel F&B offering. I am proud to say that I work for the best hotel in Ireland and that I have the opportunity to work with a committed and enthusiastic team across all departments. I love that every day is a new challenge. 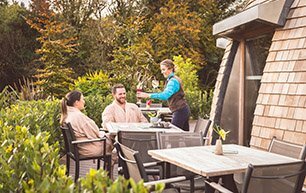 There could not be a better time to work in the hospitality industry than the present with the exciting growth in the sector and an amazing opportunity to work for Galgorm Spa & Golf Resort as the growth and expansion of the Resort continues to 2023. I am excited to be involved with the new apprenticeship scheme and the amazing opportunities Galgorm 2019 will deliver for me personally and our entire team. In the words of Nike, Just Do It! I unexpectedly fell into this industry with an academic background in Economics from Ulster University but from a young age of 16, I knew hospitality was my future. I haven’t thought twice about my decision and love what I do. Every day is a different day and hospitality whilst being hardwork, is a truly rewarding industry. An industry that opens up endless opportunities to explore across the world whilst learning and developing yourself personally and professionally.